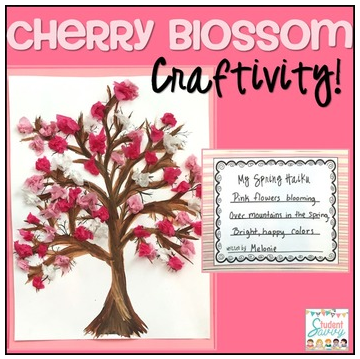 Students will love designing their own Cherry Blossom Tree! Great for all primary ages! Don't forget to rate - It gives you credit toward your next TpT purchase. Here are more Craftivities that your students will enjoy! 50% Savings with Spring Craftivity BUNDLE!